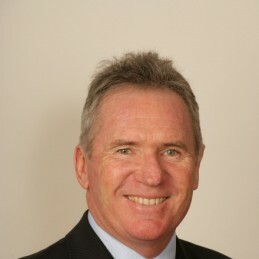 Allan Border typifies the Australian fighting spirit. He was made the captain of the Australian cricket team when they were at lowest. He led by example and by force of will. A stern and stoic leader, he took Australia to the top and ensured it was in great condition when he left. A prolific run scorer, he saved his best for when the team was on tour or needed him the most. He retired with a batting average of 50 and at the time of his retirement held records for: the most Tests, most consecutive Tests, most Tests as captain and most Test catches. The somewhat under-utilized left arm spinner once yielded 11 for 96 against the West Indies. Neither a natural leader nor a man of frills he was a reluctant captain who took the reins during a dark time in Australian cricket, following Kim Hughes tearful resignation. But he forged a brilliant captaincy in the same mould of his batting. His career highlights include a World Cup triumph in 1987 and regaining the Ashes in 1989. He would captain the side until 1993 when the team came agonizingly close to defeating the heralded West Indian side. After retiring from Test cricket, he played in Queensland’s maiden Sheffield Shield win and was named in Australia’s Team of the Century as the 12th man. He later coached Australia A and became a national selector in 1998 but resigned in 2005 to pursue media interests, largely pay-TV. He rejoined to assist new Cricket Australia chairman Andrew Hilditch but resigned after four months due to competing business interests. Allan is recognized and forever immortalized by the Allan Border Medal which is awarded each year to the best Australian Player of the Year.